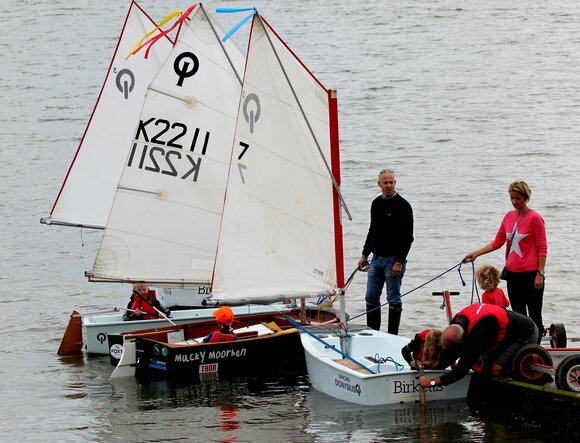 The club owns a fleet of new, plastic training Optimist style dinghies for teaching young beginners to sail. These are primarily used for informal, fun OnBoard sessions, the Junior Saturday Sailing sessions, which are run on selected Saturdays from May to October for children aged 6 and over. These boats are available to be used by members with young children. In addition, a number of our youngest members own GRP 'International Optimists' and start their racing careers in them by participating in race training and in Junior Race Week. The emphasis is on developing seamanship and racing skills, as well as simply for the fun of messing about in boats.